As the fundraising arm for the Janeway Hospital, it is the Janeway Foundation’s objective to inspire our community to invest in child health care. 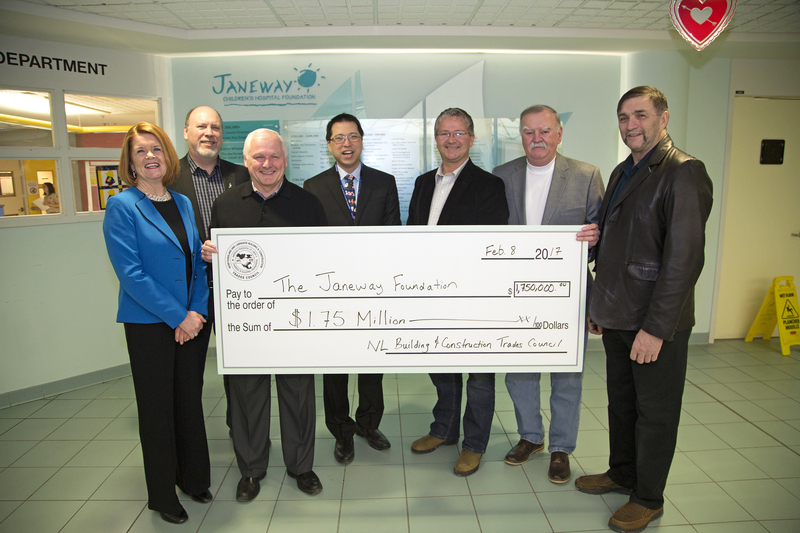 In our mission to augment government funding for the Janeway, the Foundation continues to explore initiatives to ensure that these supplementary funds will be available today and well into the future. None of this, however, would be possible without the support of our community and corporate partners. Our partnerships with you continue to enrich the delivery of medical care for our province’s children, going above and beyond what would be accomplished with government funding alone. We are truly privileged to be a part of a community that shares our vision of a healthier future for our children, and that has played a significant role in the transformation of the Janeway. In a world where medical technologies and treatment protocols are ever-changing, your gifts have allowed us to stay current, and helped to introduce new initiatives, all to enhance and keep pace with the advancements in pediatric care. Members of the Newfoundland and Labrador Building and Construction Trades Council have a made a significant donation to build three new integrated operating rooms at the Janeway Hospital. 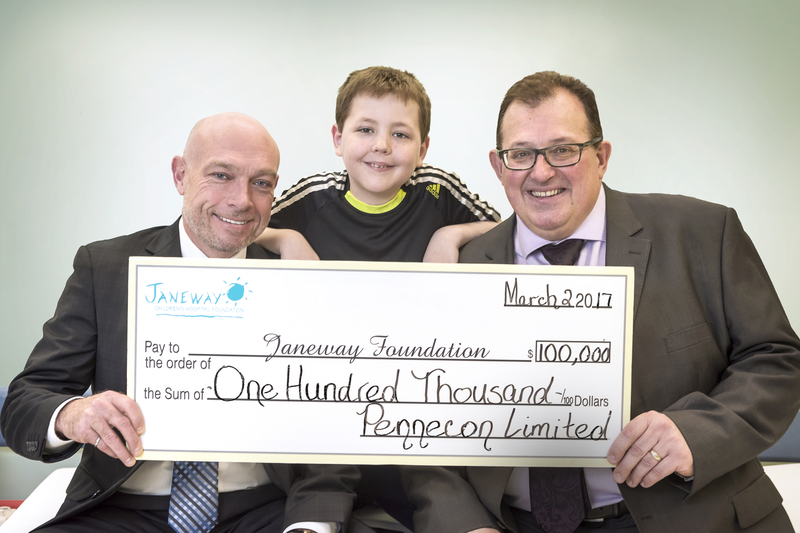 Pennecon generously donated $100,000 to the Janeway Children’s Hospital Foundation. Thank you Pennecon for your leadership gift, which will help us deliver the best possible care to Newfoundland and Labrador’s most precious resource — our children. To see more Donor photos. 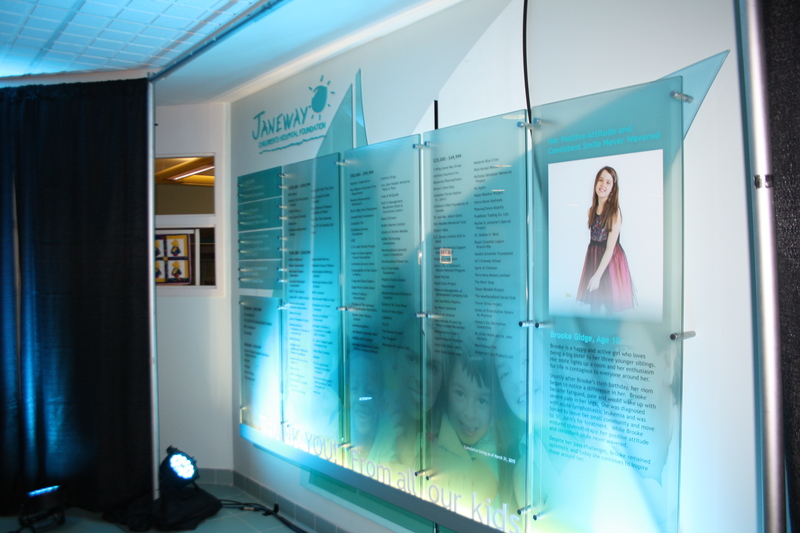 To recognize those donors who have given cumulative gifts of $25,000 or more, a new “Wall of Miracles” donor wall stands at the Top of the Ship, main floor at the Hospital. While it takes funding, time and talent to improve lives, it also takes hope to help change a life. The Foundation’s Board of Directors and staff, together with Hospital staff and community supporters, are committed to providing hope and support to our patients and their families, not only today and tomorrow, but for generations to come. On behalf of the Janeway Children’s Health and Rehabilitation Centre and the children of Newfoundland and Labrador, thank you for your continued support.